After a natural disaster in Florida, homes and businesses often have an extensive cleanup from water damage. 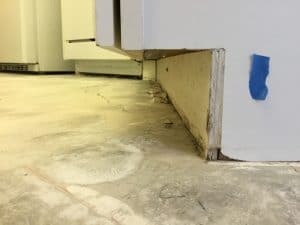 Luckily in the Jacksonville, Gainesville, and St. Augustine areas, Speedy Floor Removal specializes in the removal of flooring, cabinets, drywall, and more while keeping costs low to help you and your family get back on track. We utilize advanced technology and trained professionals who are dedicated to responding immediately to hurricane damage. 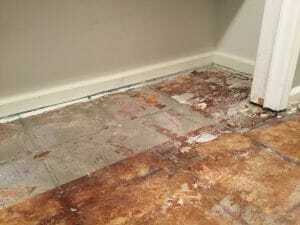 Our cleanup crew can remove most flooring and provide these other services in 1-2 days, depending on the scope and size of your restoration job. If your home experienced water damage from Hurricane Irma and you are looking for a reliable and affordable solution, contact the professionals at Speedy Floor Removal. When your home experiences water damage from a hurricane, having one qualified company for entire process can help you save money and keep costs low. Call Speedy Floor Removal after Hurricane Irma to learn how we can help restore your home quickly so you can get back to enjoying your home.